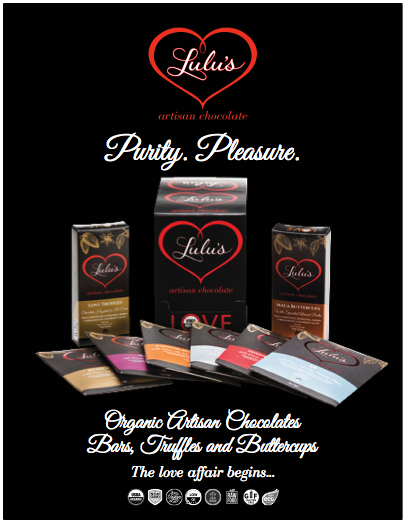 Want to add Lulu’s Chocolate to your retail offerings? We’d love that! Please complete the form below to apply for a wholesale account. Be sure to check your spam folder for our response. If you have a question, please Contact Us. Thanks! You will have a wholesale account on our site where you can browse & purchase online. If you prefer to order by email, we will forward you our wholesale menu and you will submit all orders by email. NOTE: You will be asked to submit a CC authorization form. If you don't use CC's please contact us to apply. Create a username for your wholesale account. This cannot be changed later. Must contain at least 9 characters (alphanumeric) including 1 special character. Because some shops are closed on weekends and miss their package delivery, please let us know what days you will be available to receive delivery. If you have a license, please input it here. If you have a resale certificate / seller’s permit, please upload it.